Testimonials - Here are a few words from our happy customers. 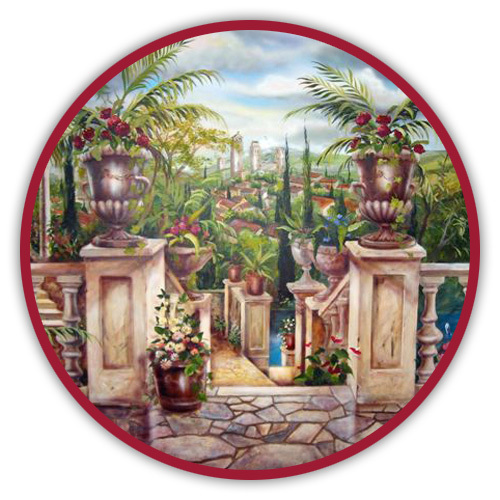 Cherry Hill Design has created murals and theme rooms for many satisfied clients. Here are a few words from our happy customers. "From the early planning stages with Michael, it was clearly evident that we were working with an “artiste” of the highest calibre. Michael brought suggestions to the table, and helped try to make dreams a reality for each of our family members, as diverse as they were. Each of our children’s bedroom walls were transformed into a magical emporium, of all which they loved: the beach, store fronts, racing cars and hockey/baseball. With the graphic artistry of Michael and the talented brushwork of Richard, this creative team moved down to our basement to begin constructing the legacy of Richview Gardens, inspired by Maple Leaf Gardens. The hours of work, discussions and decisions that went into this museum were endless and made Cherry Hill a part of our family for over 4 more months. Each day we were in awe of the details and progress that had taken place; the players were coming to life on our walls with great colour and likeness. 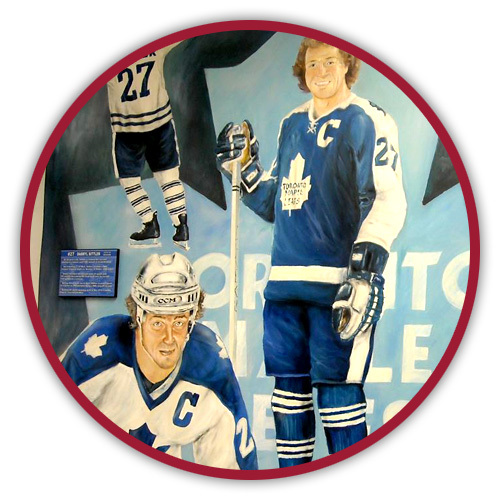 Whether a Leaf fan or not, our hockey room is a special tribute, honouring the history of the greatest game; artistry that any hockey fan would appreciate. 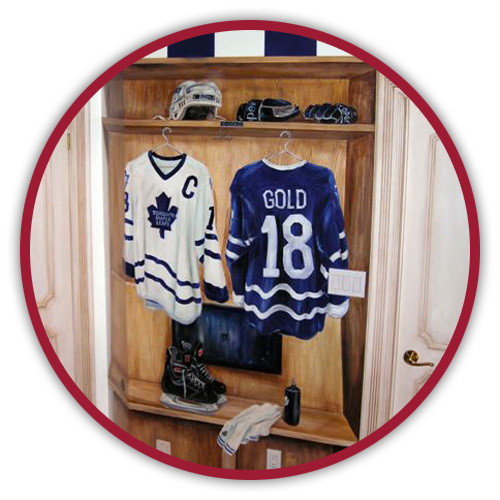 We thank Michael & Richard for the opportunity to personalize our rooms with such talent and dedication." 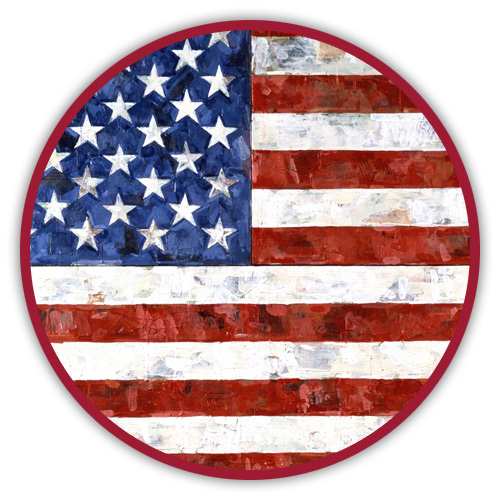 "I want to thank you for the absolutely fabulous American flag you did for me. It truly is one of a kind and will be proudly displayed in our U.S. embassy. It is a very special gift and is greatly appreciated!" "I want to thank Michael and Richard for the amazing job they did on my Tuscan guest room. The whole idea was Michael's and I loved it from the moment he suggested it. They came and went quietly, the work site was clean and they were open for suggestions, but what they accomplished was beyond my wildest expectations. Would I recommend them, of course, I no longer have to go to Italy to feel relaxed, warm and calm - I just need to go down the hall." "They did an amazing job from start to finish. We wanted a hockey theme - a one of a kind room for our 6 year old son that he would still love 10 years from now. Michael and Richard were a pleasure to have working in our home and when the time comes to add some life to my other son's room i hope they will find the time to come back. Just by looking at the room you can see that they are perfectionists. These gentlemen are true artists who put everything into their work. Even months later I am delighted to walk into that room every day and continue to appreciate new things as their attention to detail and level of creativity far surpassed my already high expectations." "The work Michael and the Cherry Hill group did for us was phenomenal. The service, the speed, and the quality was off the charts. 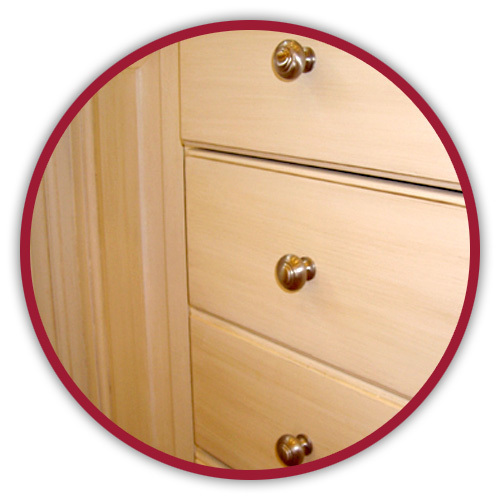 The faux finish in our bathroom on our main floor lends an elegance to the home we couldn't have envisioned without the expertise of the Cherry Hill professionals. The Sesame Street characters on the walls of our 3 year old's room puts a smile on his face whenever it's time for bed. And our kitchen cabinets have been finished in such a way as to give the room an antique feel that evokes wonderful memories of the olden days. Bravo Michael! You and your team did good!" "Recently I renovated the basement of my home in Caledon. I interviewed a few different designers before I selected Cherry Hill Design based on a comfort I had about Michael truly understanding what I was looking for in my project. 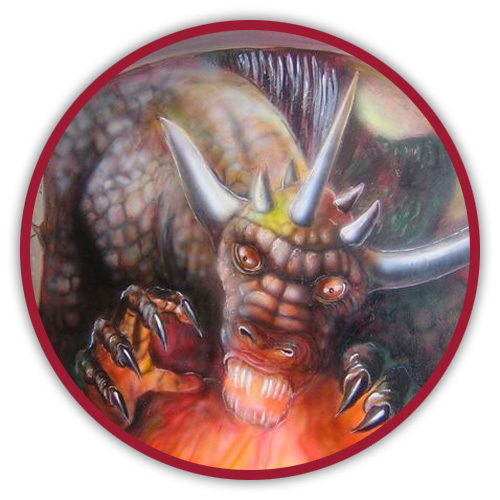 I was having my basement constructed in a medieval theme with lots of dragons and fantasy images. Michael was easy to work with and when he understood what I was looking for buried himself in the project. Many times the two of us would sit and look over images before we would both decide on what to use or not. Once the project was underway I couldn't have been more happier with the results. The finished basement is stunning and I can't tell you how many favourable responses I've received over it. I've had a few different magazines looking to do photo spreads on it as well. Cherry Hill is a delight to deal with and I would highly recommend them to anyone looking to have work done in their house or business." 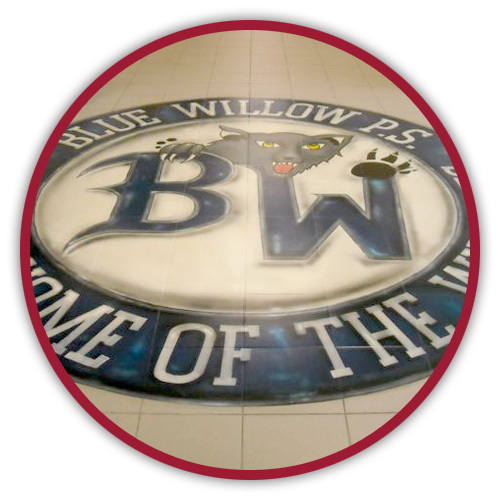 "I would like to thank Michael and the Cherry Hill Design team on the fantastic job they did at Blue Willow Public School. Michael and I were in constant communication either by phone or email at all hours of the day and listened attentively to our needs and exceeded our expectations with the completed works. Clean, fast, and professional! Cherry Hill had five days to complete three murals while the students were on March Break; and he did! The murals have boosted the spirit in our school beyond belief as the children cannot stop talking about the new murals. Graduated visiting students wish that their high schools had murals like ours. Our wildcat murals are our 7th man when opposing teams come into our home. Thanks again Michael."